Express buses from Fukuoka Airport take about 1 hour 40 minutes (18x a day) The airport bus stop is at the international terminal, free shuttle buses available to domestic terminal. The best option for those with a JR rail pass. Please Note: If Hirado city centre is your destination you will need to walk down the Tabira main street and take a bus (10 minutes) from the Hiradoguchi Sanbashi Bus Centre to the Hirado Sanbashi Bus Centre in the city centre. Direct buses from Sasebo will be quicker. Take the Fukuoka Urban Expressway (toll) westwards out of Fukuoka in the direction of Nishi-Kyushu Expressway. Keep going straight and get off at Minamihata-Taniguchi IC. Turn right onto the 297 towards Hirado. Turn left onto the 204 and soon after that right again towards Matsura/Hirado via the Imari-wan Ôhashi Bridge. You will come out onto route 204. 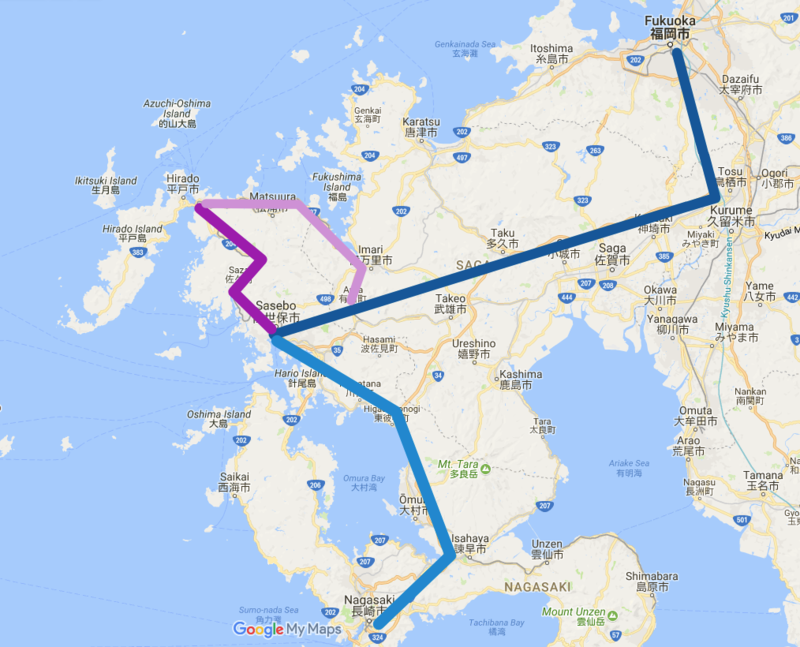 Follow route 204 and the partially finished Nishi-Kyushu Expressway all the way to Hirado. Leave Nagasaki via the Dejima Toll Road. Get on the Nagasaki Expressway (toll) all the way to Takeo Junction. Turn onto the Nishi-Kyushu Expressway to Sasebo. Follow all the way to the end (Saza IC) and go straight in the direction of Hirado. Follow the local road to Hirado. Bus services provide access to Ikitsuki Island and many villages but schedules vary. Please ask at the tourist information or the bus terminal for times. Taxis are also an option to get to some sights in the area. Silver Taxi, Mambo Taxi and Chubu Taxi can be contacted through the tourist info desk or in front of the bus terminal. Reservations are required and need to be returned with a full tank. Both companies only speak Japanese. For help contact the tourist information desk. 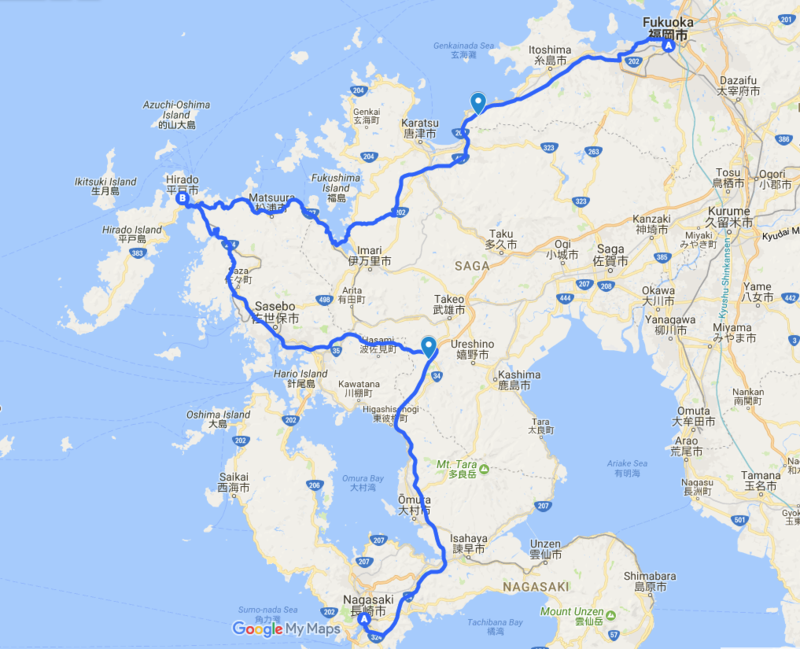 Hirado is surrounded by sttep hills but for those who are sportive, you can rent a electrical assist bike at the tourist information centre and Tabira-Hiradoguchi train station and some hotels. Normal rental bikes are available at Sakamoto Cycle Shop. 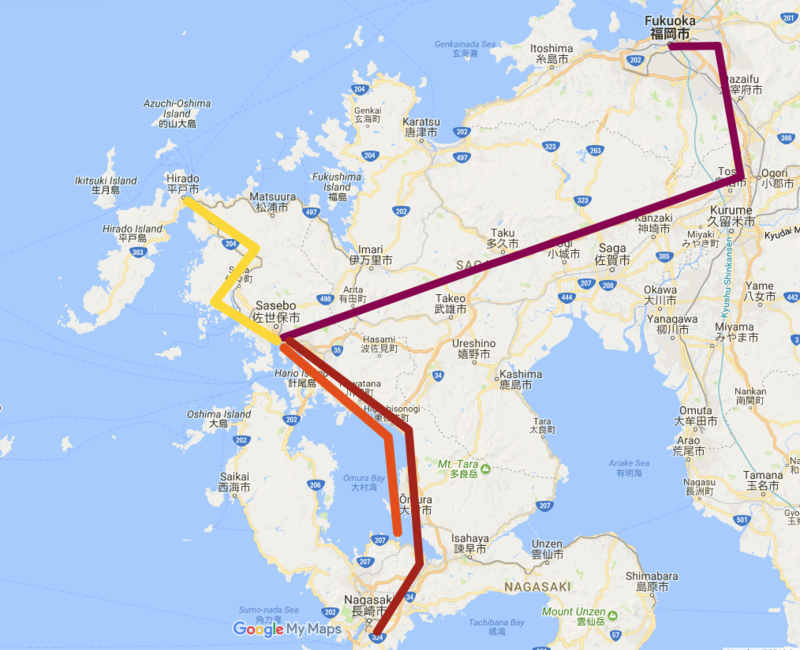 Bikes can take you to Kawachi Pass or Hirado Bridge but not probably not further.